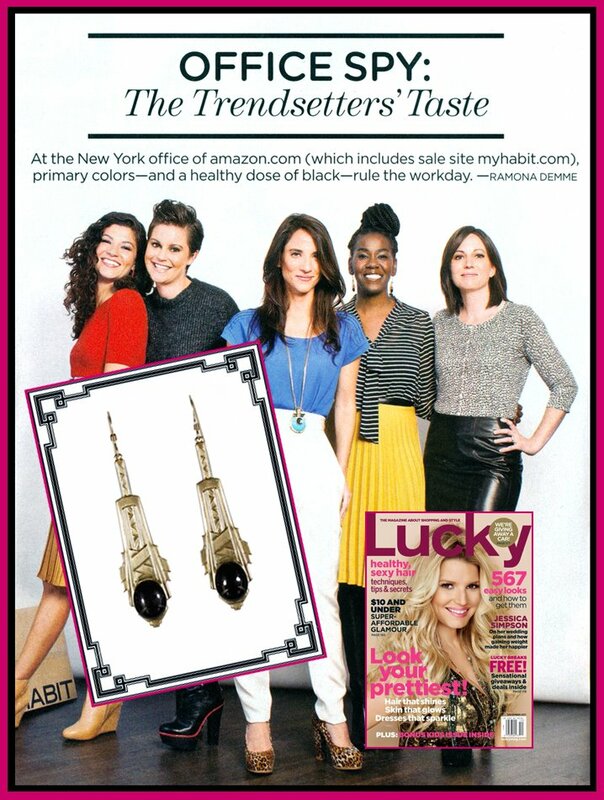 We are excited to announce that the Chrysler earrings just landed in LUCKY’s december issue! Each month, the magazine features stylish staffers who share their tips on dressing for work. This month, Cynthia Elliott a Senior Planning Manager at amazon.com rocks a pair of JDS Chrysler earrings. Her mantra ? Quality over quantity. We’re glad she chose JDS!